Let's talk Special Education curriculum! We all know that no one size fits all in the special Ed classroom and finding curriculum for our students can be a challenge! there is no "SPED Curriculum" that's going to meet the needs of all of our students. Unique Learning System (ULS) is the only "SPED Curriculum" I know of and even with ULS you still have to pull from here and there and supplement, and it doesn't meet the needs of "ALL" of our learners. I have 14 students and only use it with 3 of my students. I teach grades 4 - 6 and their levels are all over the place. I have students working at a KG level and students working at a 1st, 2nd, and 3rd grade level. I also have students that are only with me due to behavior and they are working at their grade level; a 4 - 6 grade level. So I have a lot of different levels I have to plan for! So if you thought you were going to read this post and have all of your curriculum worries solved...no! 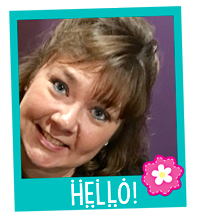 But what I do plan to do is provide you with some tools and curriculum that have been helpful for myself and other special education teachers. It's still up to you to find out what will work best for your students and your classroom. First, to begin I recommend having some sort of scope and sequence or a map of what you want your students to achieve and learn throughout the year...and then differentiate, differentiate, differentiate! For example, when we do money in whole group...some of my students are directed to count out 48 cents, some 3 cents, and some are doing "Touch Money" and need dots drawn on their coins. I have grade level learners that may be solving a word problem using money. A scope and sequence will save your sanity throughout the year and help you with planning the appropriate curriculum for each of your students without leaving anything out. Here is an intermediate scope and sequence that I designed for my classroom. Note: It doesn't meet the needs of my 3 students on a functional/life skills curriculum. They are on a separate curriculum. Download this scope and sequence here. Before shopping and investing in an expensive curriculum for your classroom (that may not work for next year's group) check to see if the curriculum your school already has available in GE will work. It's okay to use GE curriculum at the student's level. So for instance, if you have a 4th grade student working at a first grade level in math, then acquire a copy of the first grade math textbook/materials adopted by your school/district. The one thing I found with this is that many of the GE textbooks move on to quickly, while our students need more time spent on a skill. That's fine! 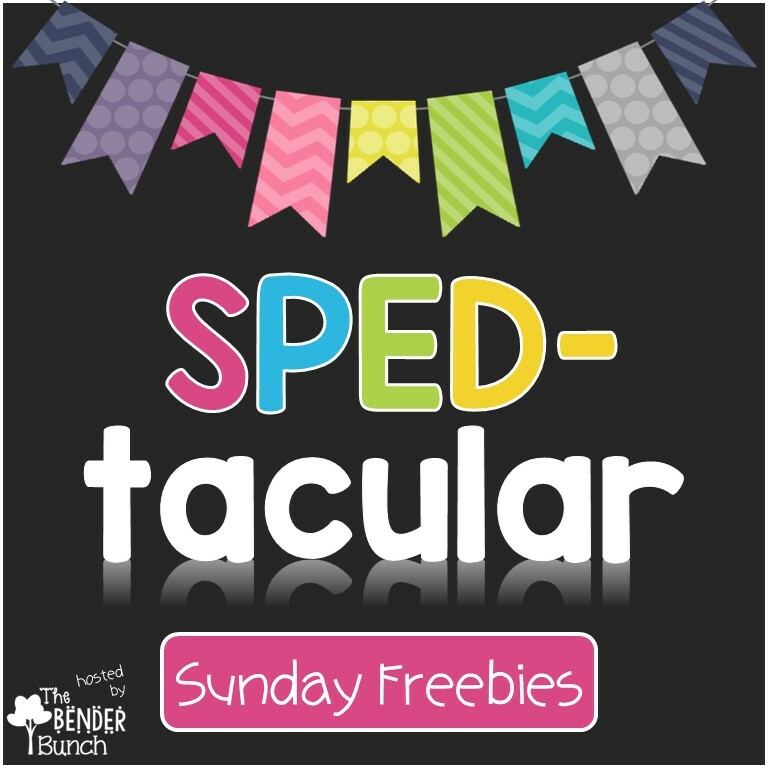 One nice thing about special Ed is you can take your time and reteach a lesson if you need to and you can always add supplemental resources for additional practice opportunities if you need to. Also, know that all core adopted textbooks and curriculum being used at your school in GE always have an adapted intervention component to address the needs of learners working below grade level. Many times it is a separate kit, so be sure to ask for the below level intervention kit. If modifying the curriculum already used at your school doesn't work, here are some reading programs that I have used and found effective. I absolutely LOVE every one of these depending on what my students needed at the time. A K - 3 reading curriculum that I love and currently use it in my classroom. I have seen great results with it. It is very expensive...I was just lucky enough to inherit it after it was faded out at my school. I hear a lot of great things about Edmark and know teachers that use it daily. I liked Edmark for my very beginning readers, but once they began reading I felt I needed to transition them to a different program. You are the only judge for what works for your students. A grades 3 - HS intervention program; I love Phonics for Reading and highly recommend it for beginning readers. For grades 2 - 12, I just started using this program in my classroom last year and it is my ultimate favorite. 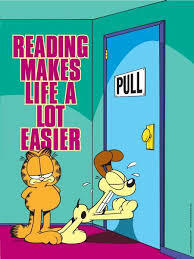 I'm slowly transitioning my "Read Well" students to it. It highly recommends training to use the program, but if you are a self-learner like myself, and watch the videos, you can figure it out. It is very inexpensive and the results have been fabulous. This is the starter set I have here. 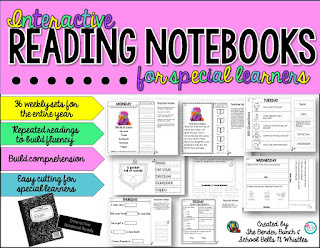 These Interactive Reading Notebooks are fabulous for those fidgety students needing to keep their hands busy. I use these daily with 2 of my students. This year-long program is a great reading curriculum designed specifically for Special Ed that includes fluency, vocabulary, comprehension, WH questions, and a summative assessment. I have not used Equals Math, but it is highly recommended by numerous special education teachers. 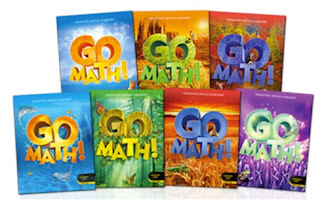 I have not used Go Math, but it is another highly recommended math curriculum by numerous special education teachers. I have not used Connecting Math, but it is also recommended by other special education teachers. If you're looking for a supplemental daily review, "180 Days of Math" is great. I own all of these grade K - 5 and love using them for continuous review and practice. Math Minutes are another one of my go-tos for daily supplemental practice and review. I own these for grades 1 - 5 and my students complete a math minute every morning. If you haven't heard of Touch Math, you need to find out about it. Touch Math is how many of my students have learned how to add, subtract, and count money. It's an amazing accommodation that works!! Step Up To Writing is my most FAVORITE tool and curriculum for teaching writing. I have used it for the last 10 years with great success and it is all I will ever use at this point! I highly recommend it! 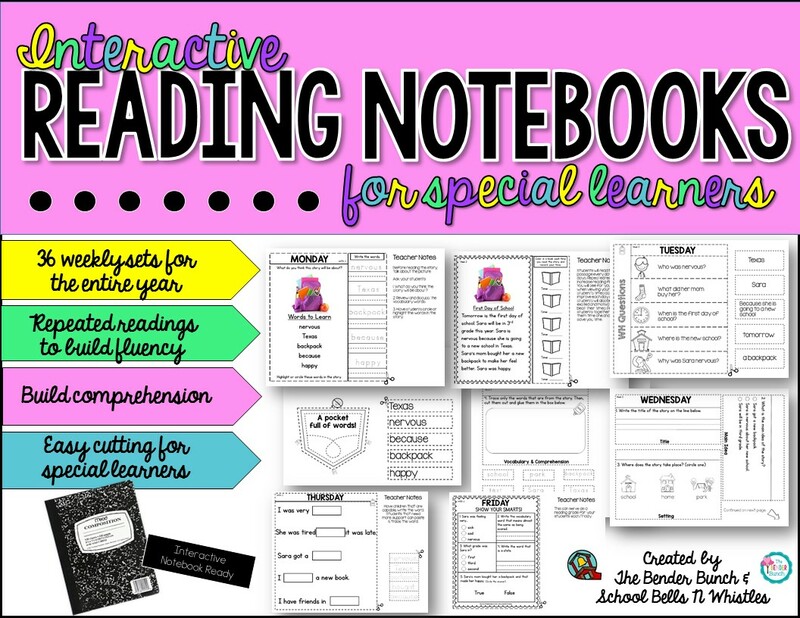 It's so perfect for teaching writing to special needs learners and uses a color coded system. Another favorite supplemental review activity that I do with my students to supplement our grammar lesson and writing activity, and keep that review and practice going. Social Studies has always been a struggle for me with my student population, but I started this program by Cara Carroll last year and I like it. I do have to adapt it to challenge my higher students, but it gives me a foundation to go on and is perfect for my younger, lower students. There are 8 units, but only 5 are currently finished and posted. While it's not "perfect" for my class, it is the most appropriate S.S. curriculum I have found. I love this science curriculum from Tara West, but now that she has created a 2nd grade curriculum, I think that would better suit my students, as just like the social studies, I have had to adapt it to meet the needs of my higher students. I like that it gives me that foundation to build upon though, rather than feeling like I have to start from scratch. The best part of science is the EXPERIMENTS! My students will definitely agree! This science kit has so many experiments that I can repeat experiments year after year and my students love them just as much! We never run out of SCIENCE! Plus with 3 levels of differentiated recording sheets, all of my students can participate equally! Boys Town has a lot of detailed social skills lessons and posters that walk you through each lesson to effectively teach the skill. I highly recommend it. I love this social skills program by Tara West, but it was a little too low and below grade level for my students. If you have students in PK - 2, or students with that level mentality, it is perfect and highly recommended. 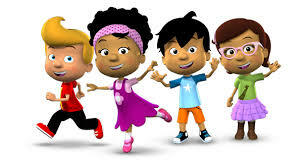 If you have younger students you'll LOVE Wondergrove Kids! I used to use it when I had younger students and it's fabulous...just not age appropriate for my current older students. 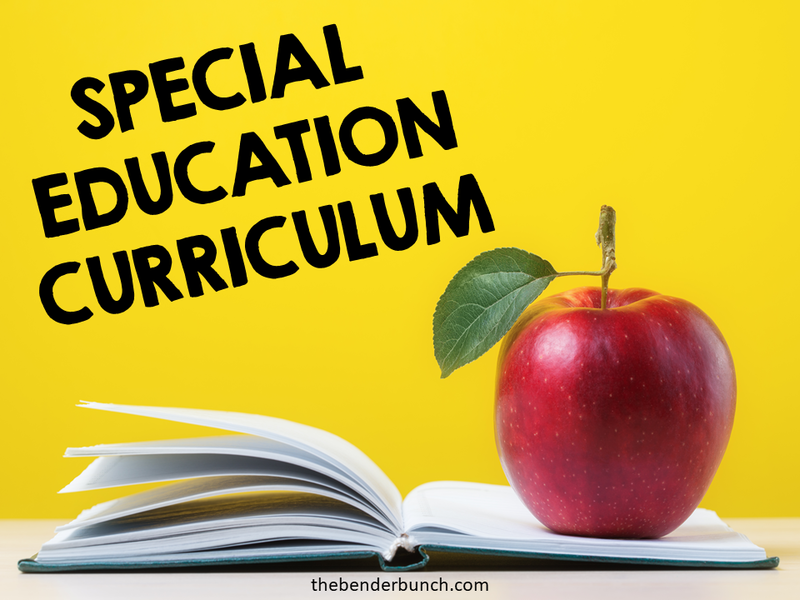 While planning for various levels and having no curriculum for our students can be frustrating, there is no one size fits all for our special needs students...how can there be? Our students are all unique in their own way. They are all learning at different levels and in their own way! I pull from here and there and buy supplemental materials that focus on one skill so they can get that extra practice they need. I focus on teaching basic life skills math they I know they'll need in life like addition, subtraction, multiplication, division, time, and money. Start with your scope and sequence and determine what you want your students to learn. Plan your programs from there and differentiate. 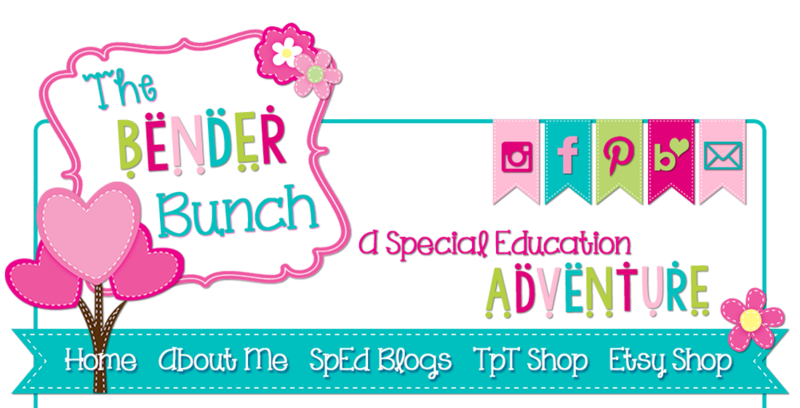 Here are some websites that focus solely on special education materials/resources that you will find helpful.